Out of all the museums we visited during our Central Alberta Museum Tour (CAMT), this is the one I was looking forward to the most. While my career as a volunteer firefighter was relatively short (2004 – 2008), the firefighting bug is one that has always been with me and always will be a part of who I am. When you combine firefighting and history, you’ve got me hooked and this place promised the best of both. Bashaw was another town I “discovered” on that trip to Meeting Creek I made back in August of 2015, the same trip that allowed me to find the Anthony Henday Museum. While I can’t believe it took almost two years to get back here, on Day Two of CAMT it finally happened. 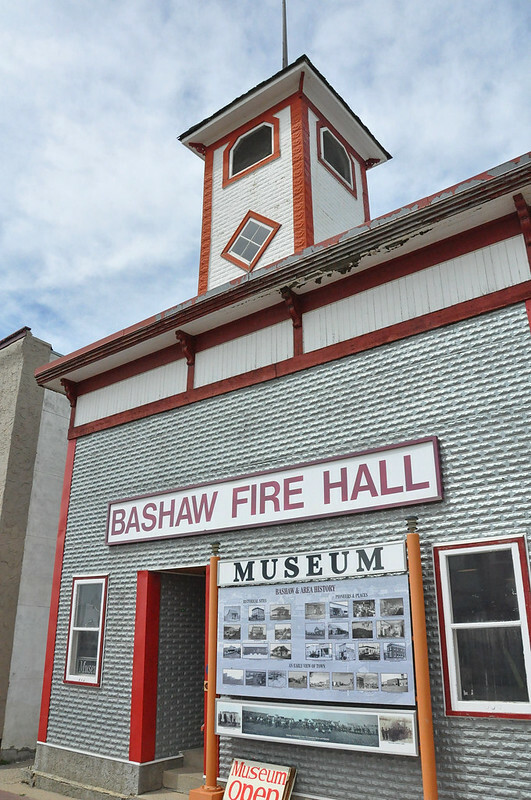 According to HERMIS (see Sources below), the Bashaw Fire Hall was originally built between 1914 and 1915. It served a number of functions over that time, including acting as a police station from the 1920s right into the 1960s. The fire department only stopped using it in 1972. It had a remarkably long run for a building that is so small. The building was as fascinating to me as the artifacts inside. We learned a number of interesting facts, including that the fire bay doors did, in fact, originally face out onto the main street before being moved to the side of the building. Also, apparently the original apparatus bay floor was lower than the floor of the office space in the back and it was leveled out at some point in the past. You can get locked inside one of the old jail cells. The other cell was last used as part of the animal impound and the old wooden door is full of scratches and claw marks from the dogs of yesteryear. Sad and fascinating at the same time. 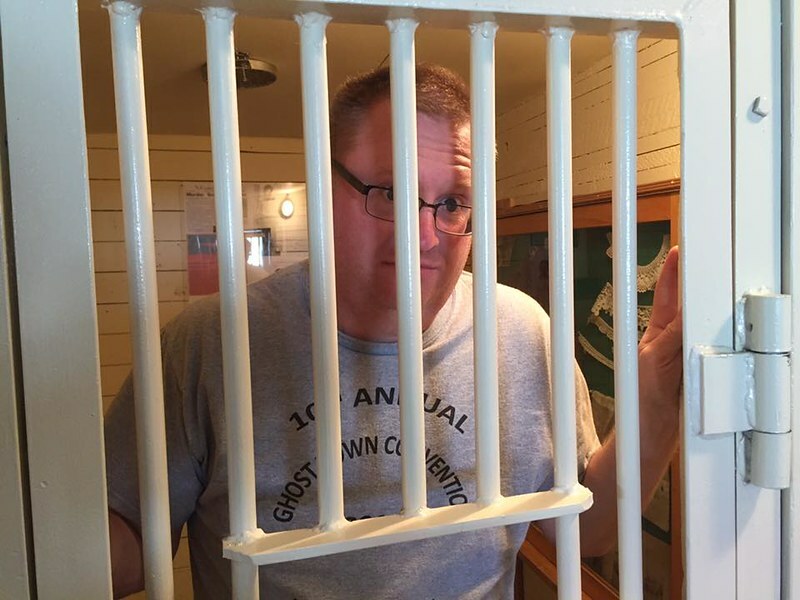 DanOCan in jail — perhaps for ringing the fire hall bell? And, yes, the bell is still inside the hose tower and you can actually give it a ring, which I did. Emily has a video of me pulling on the rope so I’ll have to find it and post it. 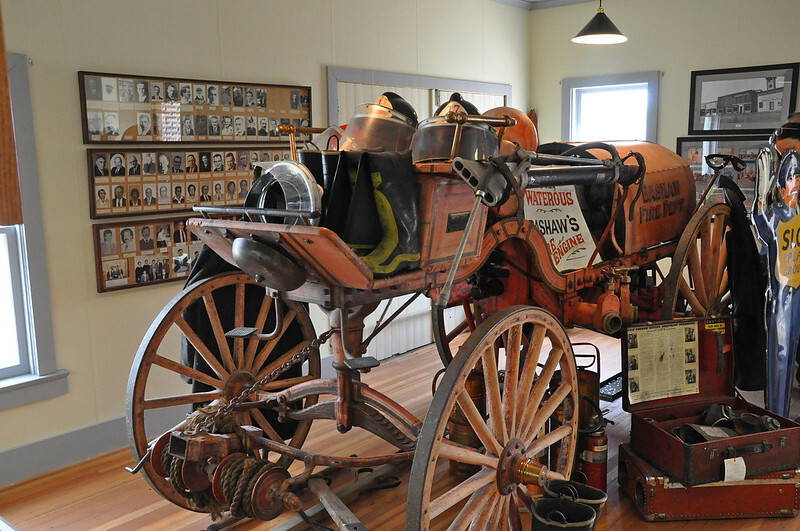 Aside from the building, the most interesting artifact — at least in my opinion — was the 1912 Waterous pumper, the first fire truck in Bashaw’s history, which actually is older than the fire fall itself. Waterous is still in business to this day, although I imagine they don’t stock many parts for this old wagon. Thanks to some advance planning and notice, I was also able to arrange for us to get access to the Majestic Theatre which is just a block down the street. We were met by Wayne who was very happy to show us around and answer our many questions about the theatre. 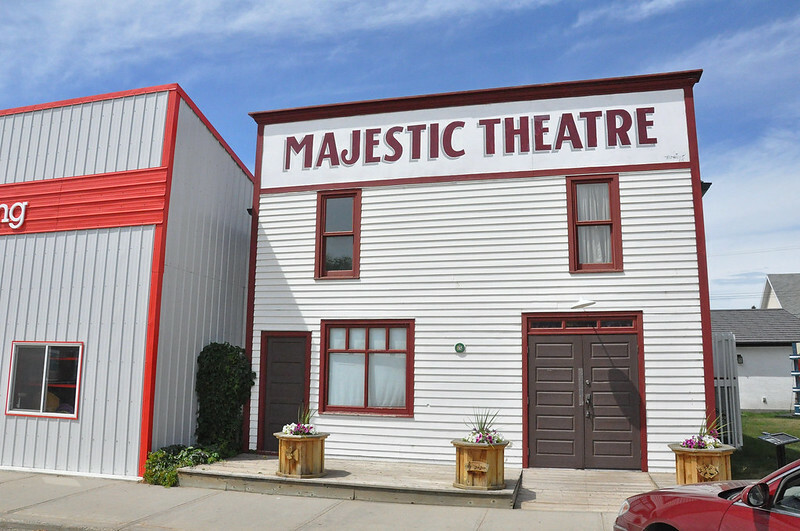 The Majestic Theatre was built in 1915 and underwent a series of ownership changes and renovations until closing in 1984. 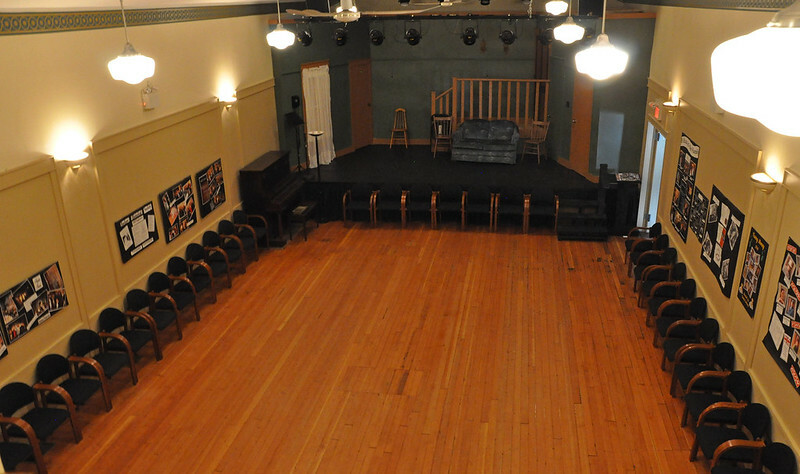 It is considered to be the last remaining “Boomtown design” theatre in Western Canada. 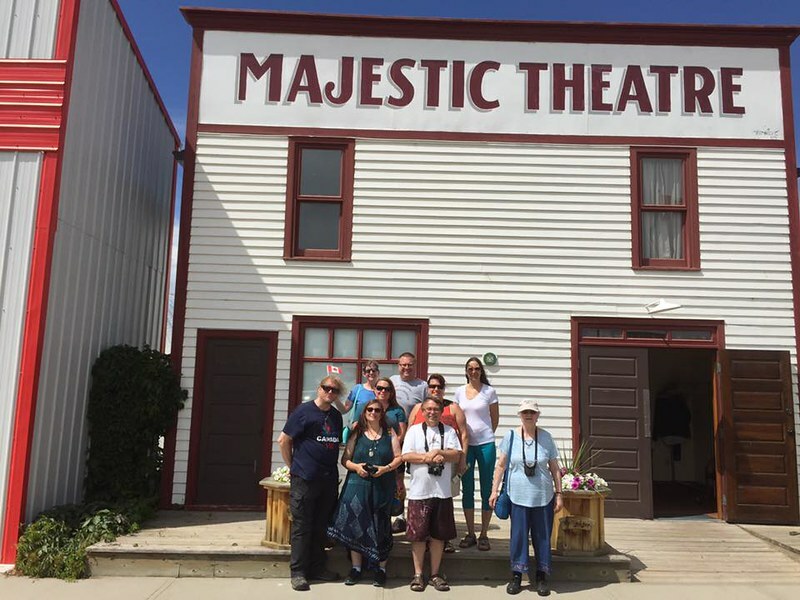 The Friends of the Majestic Theatre group was formed in 1998 and worked to restore the theatre to its pre-1930s condition, which was done in 2004. While it no longer is used to show movies, it remains an important piece in the local community’s arts scene. Before leaving town and heading to Meeting Creek, we had one last stop to make. This one also featured fire apparatus. This time it was a 1957 International which is housed in a gazebo outside the local arena. 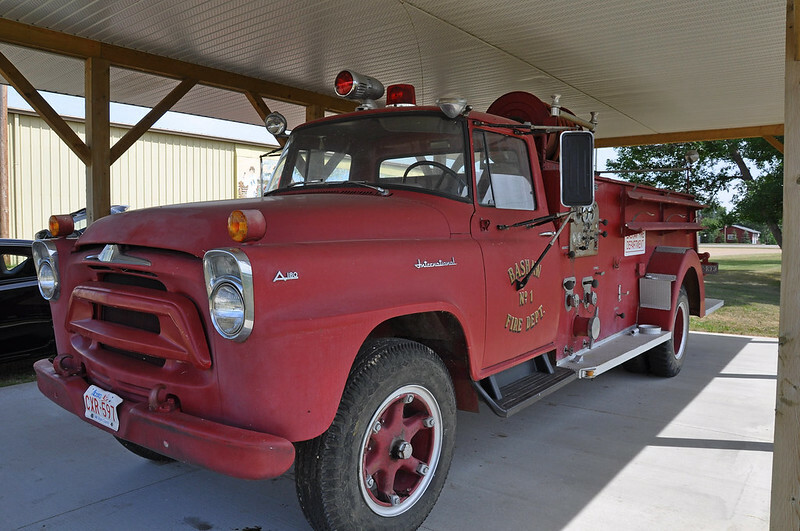 I do love the fire trucks of the 1950s as they represent, to me, the most iconic style of fire trucks ever made. It was worth the two year wait to finally get here and check out these great pieces of Alberta history. 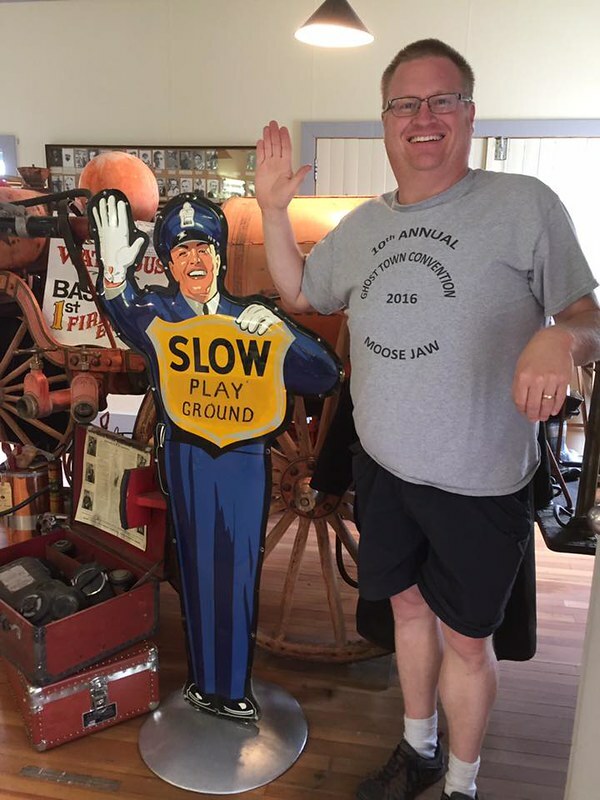 This entry was posted in Events, History, Travel and tagged Alberta, Bashaw, Bashaw Fire Hall Museum, CAMT, Canada, fire apparatus, Majestic Theatre, museum. Bookmark the permalink.